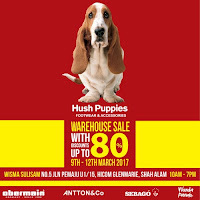 Browse » Home » Wisma Sulisam » Mar9-12: Hush Puppies Footwear & Accessories Warehouse Sale: Up to 80% Discount! 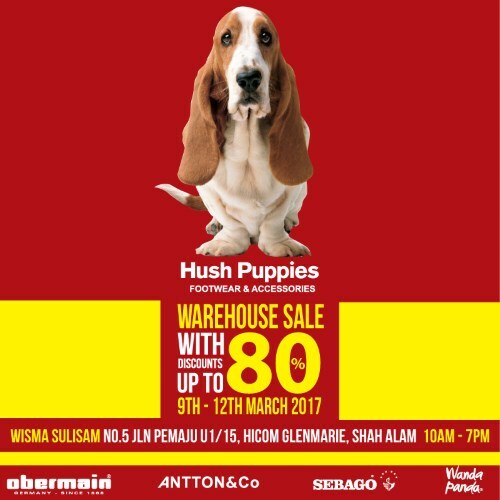 Mar9-12: Hush Puppies Footwear & Accessories Warehouse Sale: Up to 80% Discount! Location: Wisma Sulisam, No. 5, Jalan Pemaju U1/15, HICOM Glenmarie, Shah Alam. Enjoy big savings up to 80% on leather footwear, fashion handbags and apparel from various brands!